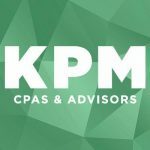 KPM CPAs & Advisors is a locally-owned CPA and business advisory firm in Southwest Missouri. Their services include accounting, bookkeeping, payroll processing, business valuation, tax services, and QuickBooks training and support. Work For KPM CPAs & Advisors? Claim This Page.